All in all, there are 3 events to let you win BIG! EXP ranking event: Be the top 20 EXP winners! 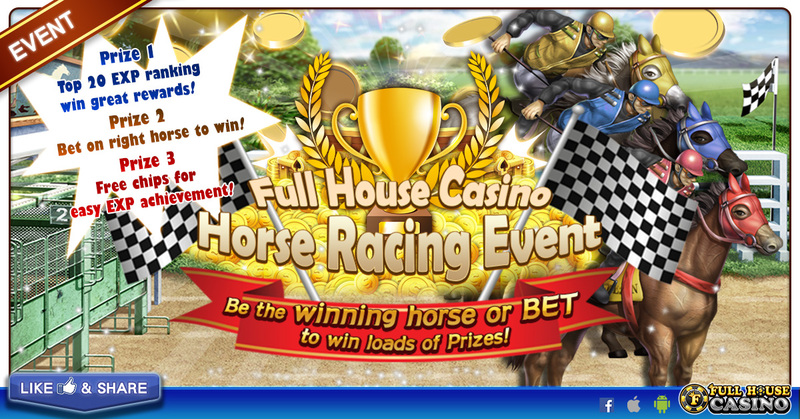 Derby ranking event: Bet on the right horse and you get free chips! Moreoever, we are giving out up to 290,000 free chips to help you WIN!